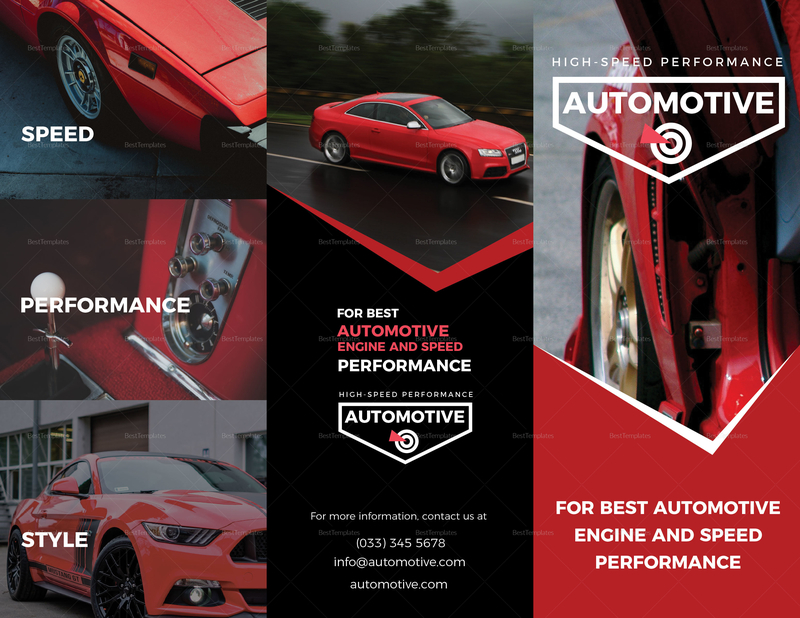 Stay ahead of the curve with this sleek, red and black, automotive brochure template. 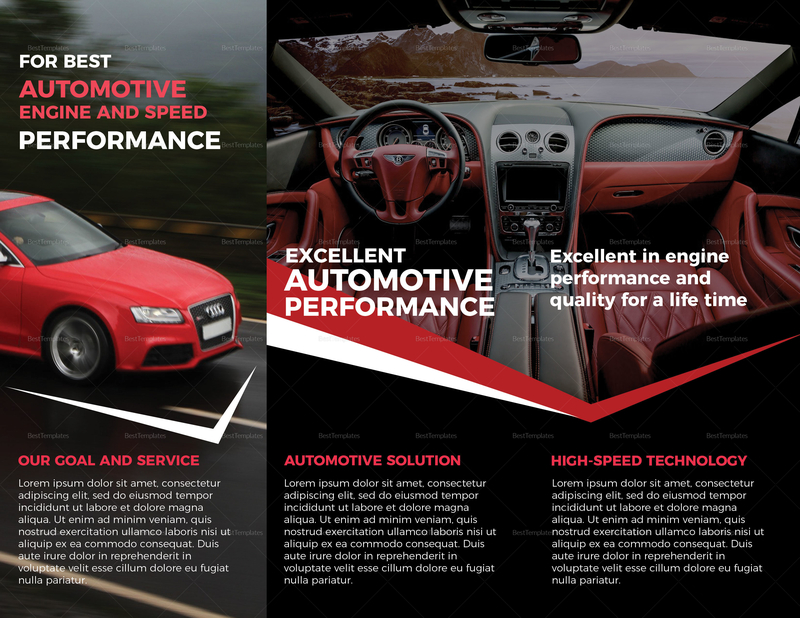 This tri-fold brochure highlights red sports cars that features its speed, performance, and style. 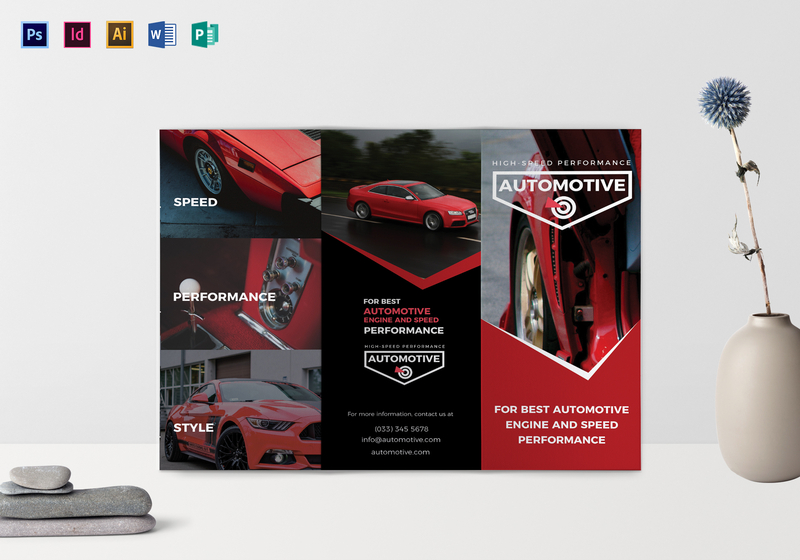 Easy to edit with instant download, you can easily use or let your design team customize it for you. This is supported in various formats like InDesign, Illustrator, Photoshop, MS Word, and Publisher.